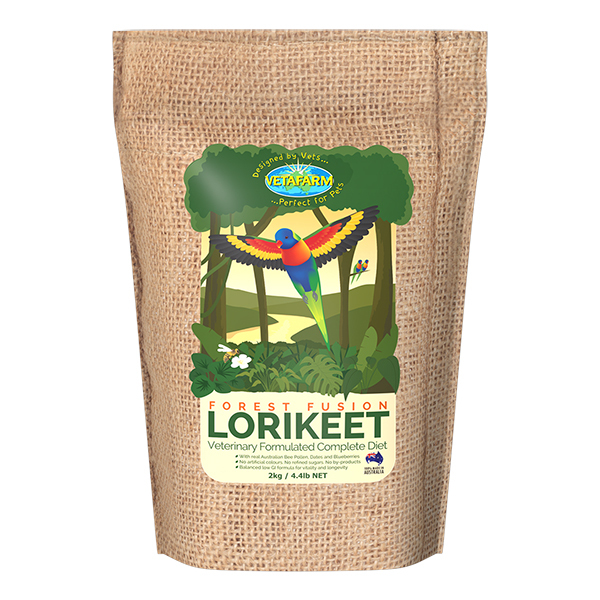 Vetafarm’s Forest Fusion Lorikeet diet has been developed with NO artificial colours, NO refined sugars and NO by-products. 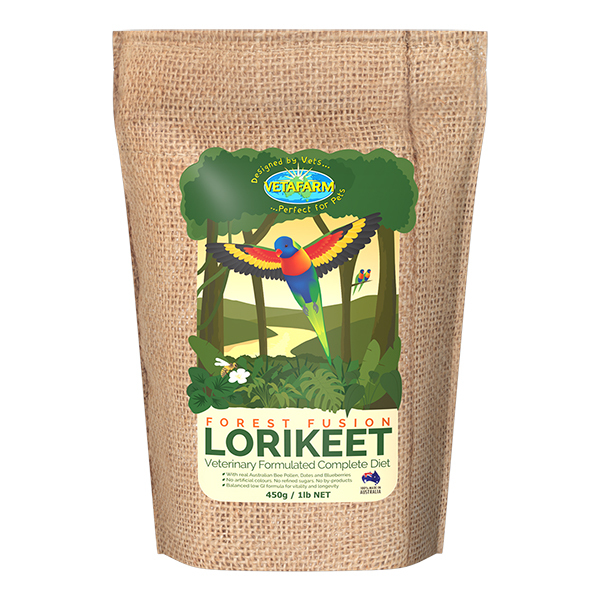 Made with real, delicious dates, bee pollen and blueberry extract, achieving a natural sweetness and amazing taste for lorikeets. 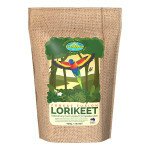 Forest Fusion Lorikeet Diet is a complete diet, no additional dietary supplementation is necessary. Vegetables, fruit or Blossom Nectar may be given as behavioural enrichment. 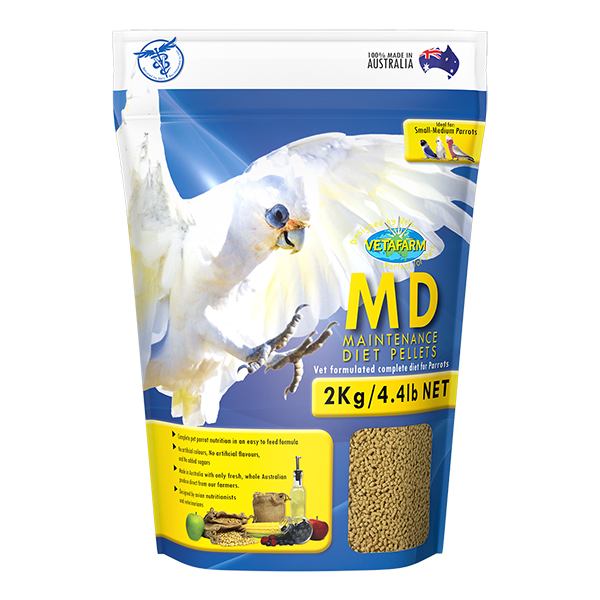 Make freely available as your birds primary diet. 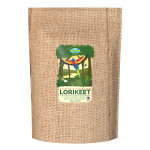 Forest Fusion Lorikeet may be fed dry, direct out of the packet or as a wet mix by adding a small amount of water. Wet Mix: A wet mix can be achieved by adding an amount of warm water to the powder and mixing thoroughly with a fork. 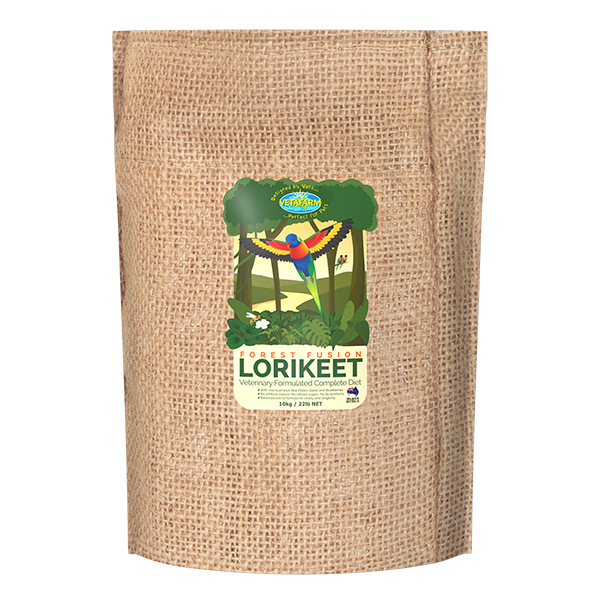 You can mix to any consistency you desire, Vetafarm recommends a mix of 1 heaped teaspoon of Forest Fusion Lorikeet with 10 teaspoons of hot water. Mix well with a fork and change every 24hrs. Forest Fusion Lorikeet is designed as a complete diet when fed at 80% of the total diet. Fresh Foods such as fruit may be given as behavioural enrichment. Whole Australian corn, Australian rice flour, soy protein isolate, blueberry, pitted dates, eucalyptus bee pollen, sucralose, vegetable oil, natural organic acids, Vitamins (A, B1, B3, B5, B6, B12, C, D3, E, H & K) & Minerals (Calcium, cobalt, copper, iodine, iron, magnesium, manganese, phosphorus, potassium, selenium, sodium, sulphur & zinc).